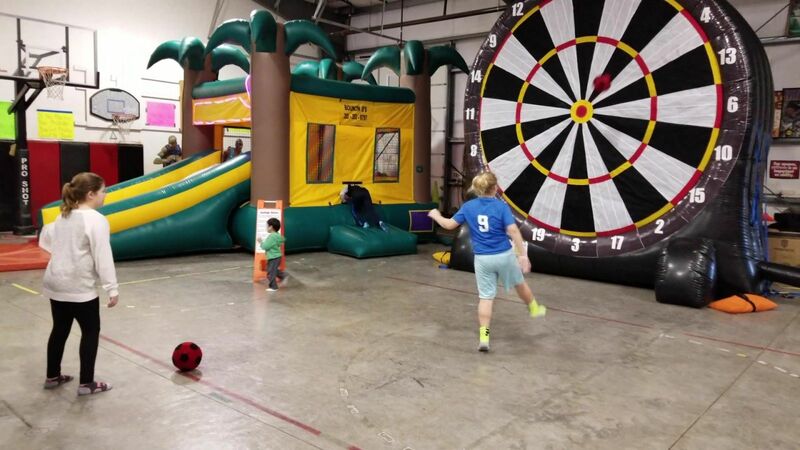 Soccer Darts, our giant inflatable game is now available and is BIG fun for everyone! What is Soccer Darts you ask? It's is a giant inflatable bulls-eye target where players kick a ball that sticks to the target to collect points. It's darts you can play with your feet. Will you be having lots of Sport fanatics at your event? Well this interactive game also has an Archery package add on option. 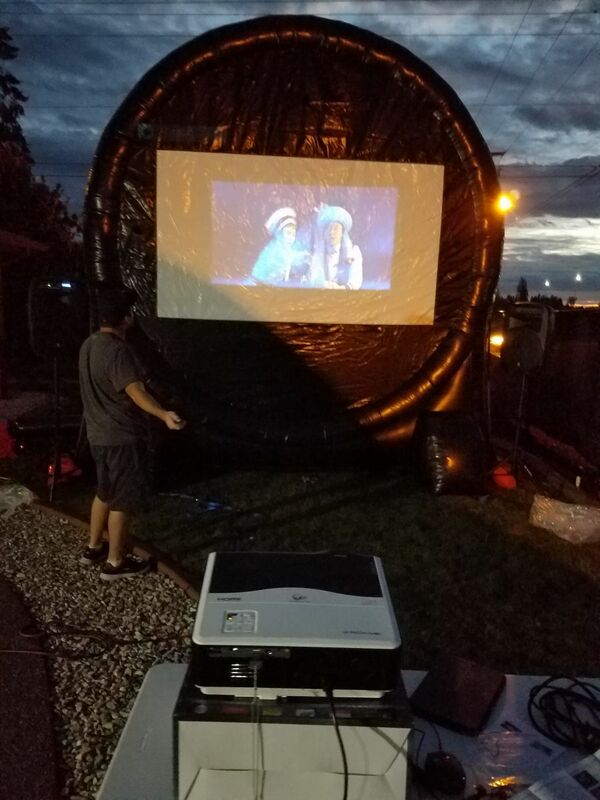 And when you are done playing games, you will be able to take advantage of the movie screen on the other side of the soccer dart game and turn your back yard or event location into a private movie theater. 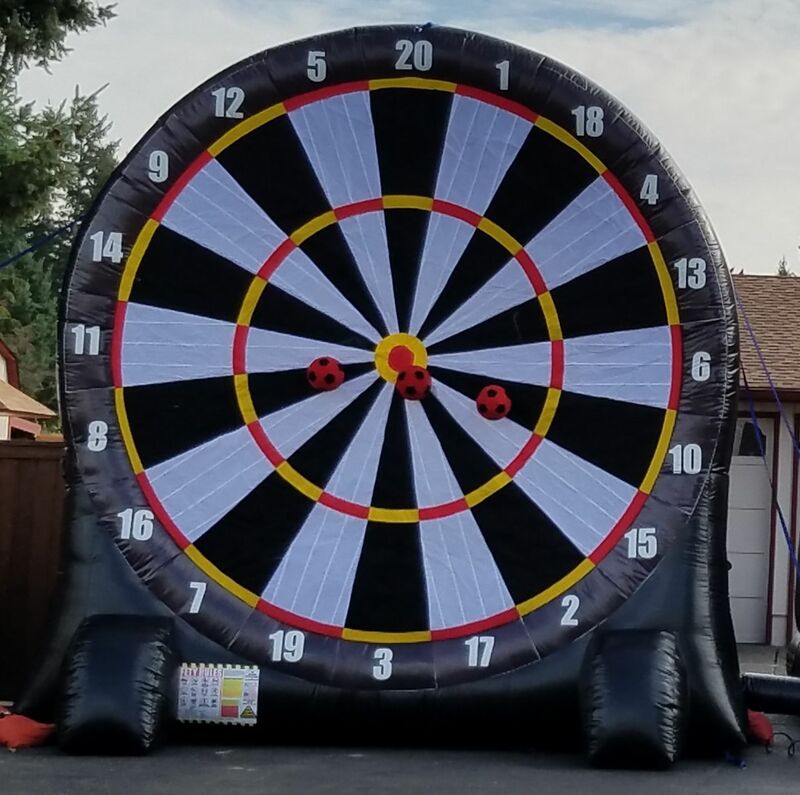 Our very Popular Giant inflatable Soccer Darts interactive game rental will be a hit at your next summer camp or company party. You can spend the first part of your event competing with family and friends. And when you are done playing games, switch over to the other side of the unit to use the movie screen and home theater package for at home movie experience. They say practice makes perfect, so here's your chance! Play hard during the day and relax at night while watching your favorite movie! You can have an event that will leave the guests breathlessly waiting for an invitation to your next party.